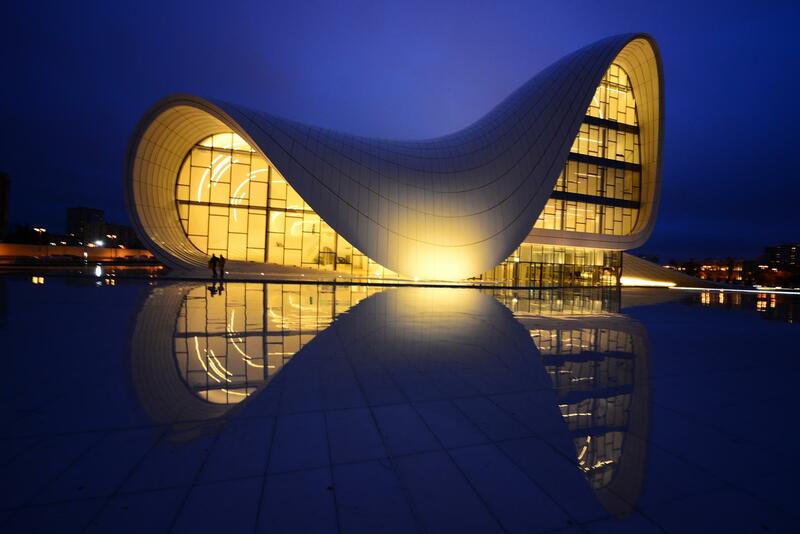 Heydar Aliyev Center, one of the world’s masterpieces in architecture which was designed by Zaha Hadid Architecture, in memory of Heydar Aliyev, is located in Baku, Azerbaijan. 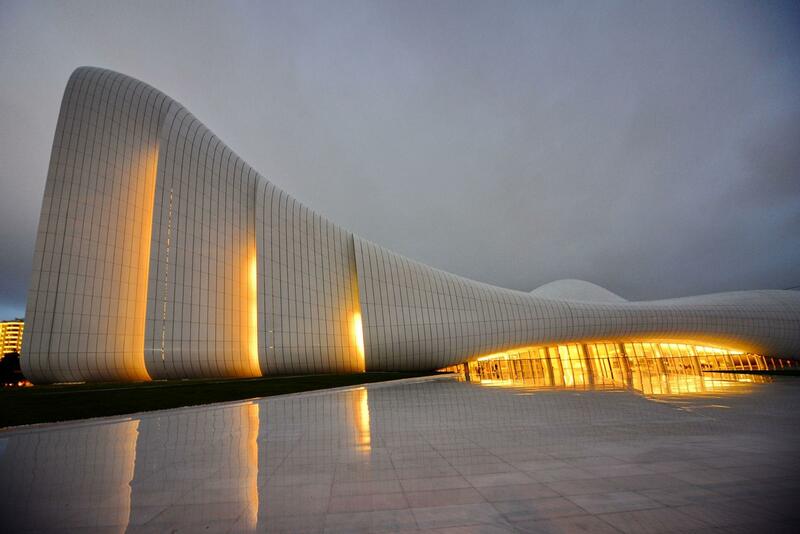 The building represents Azerbaijan’s culture and how it looks to the future. 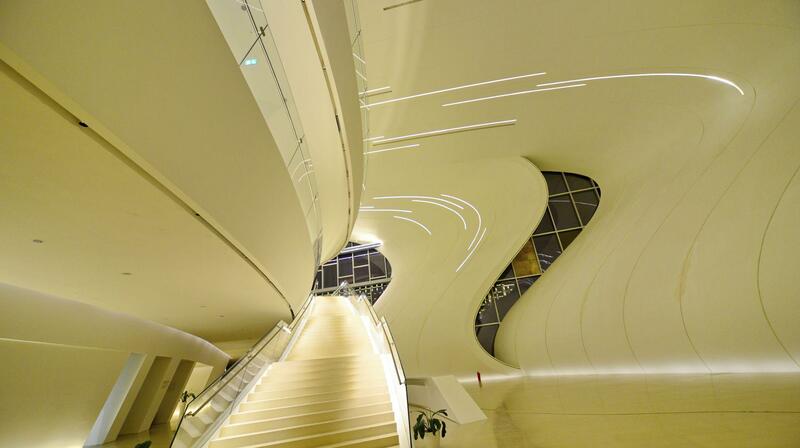 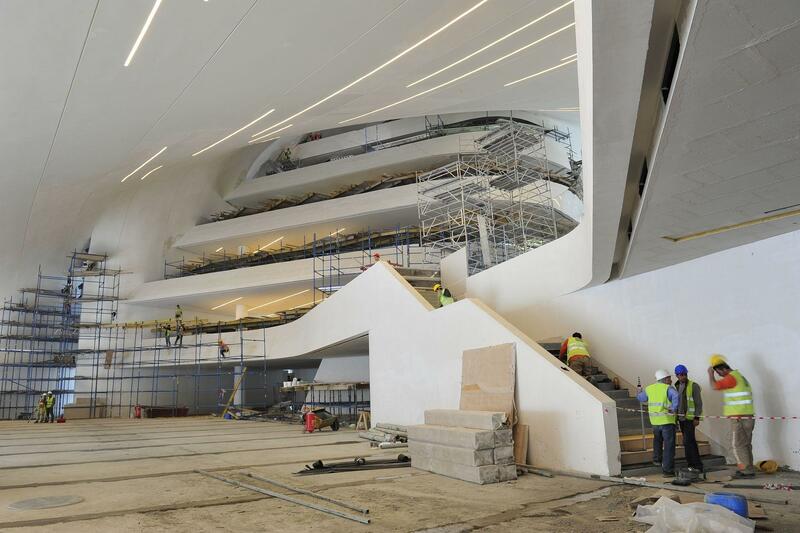 This extraordinary building is known for its fluid, wave-like design; not a single straight line can be detected in this futuristic structure. 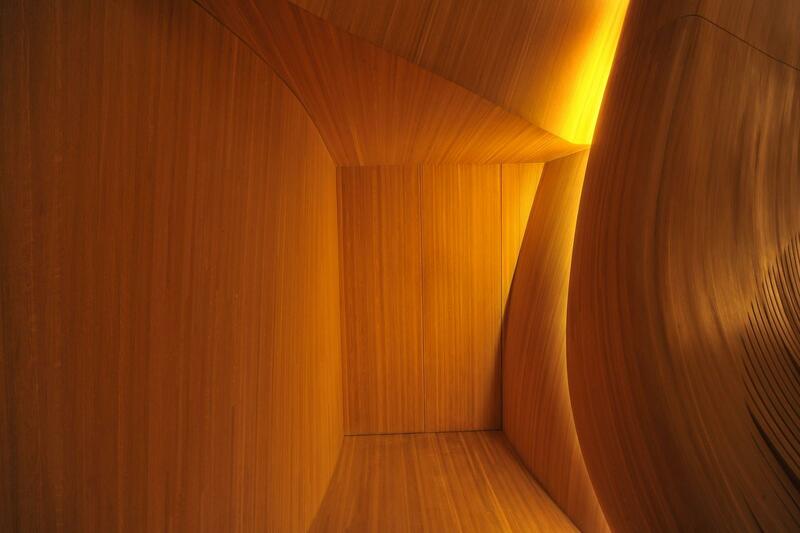 Mikodam/IKOOR is one of the manufacturers in this remarkable organic design. 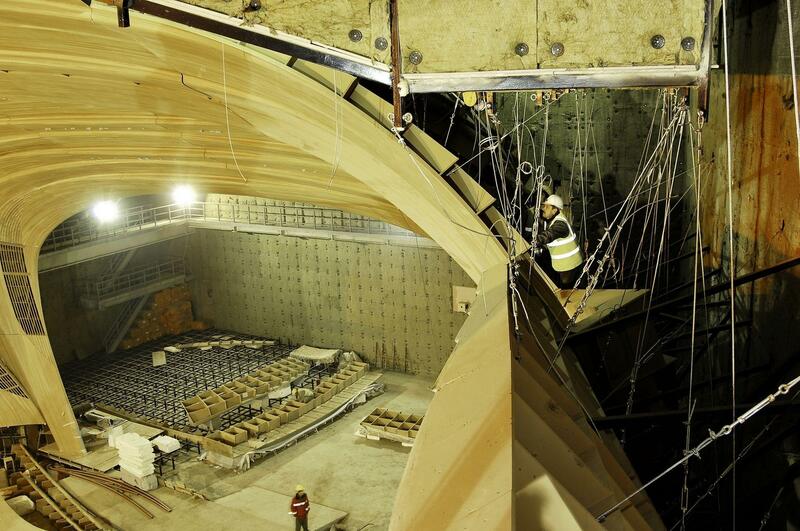 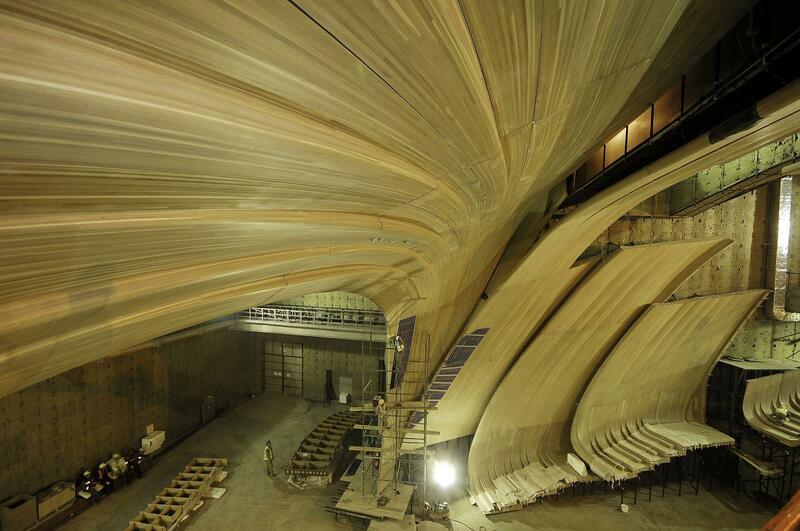 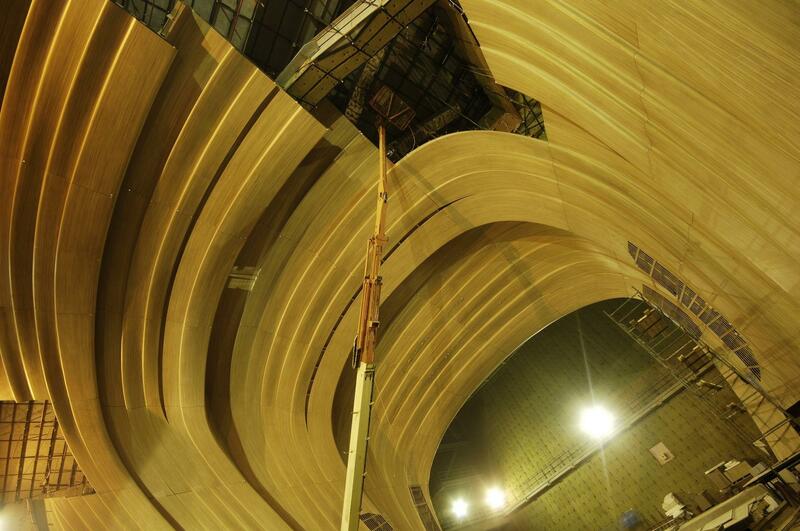 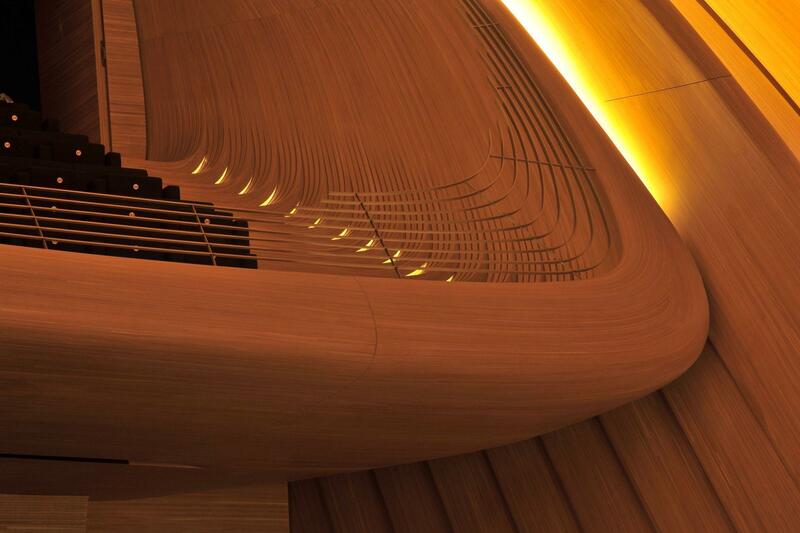 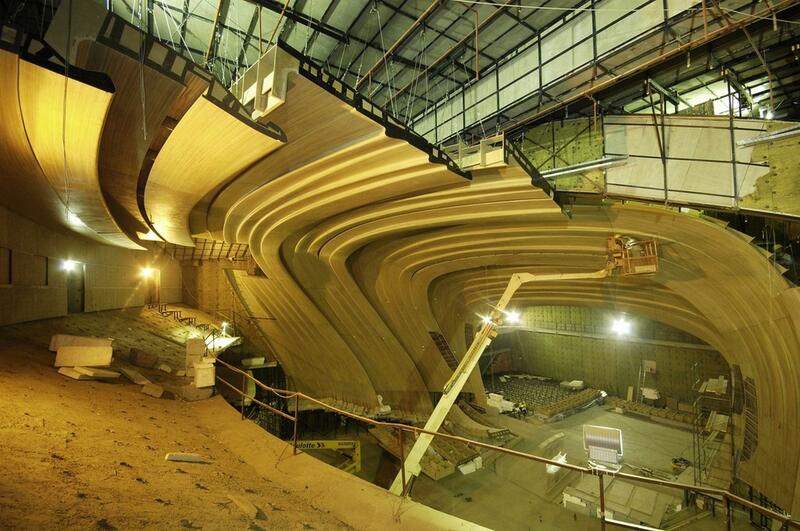 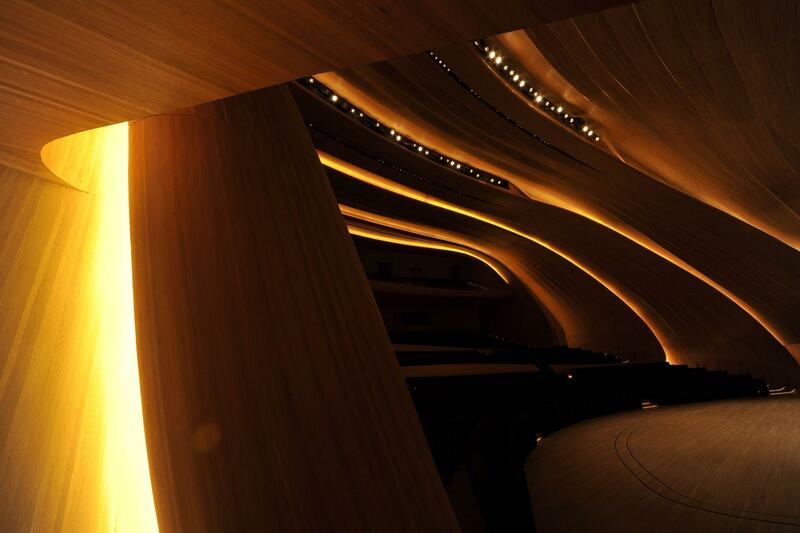 The concert hall is entirely cladded with wood, manufactured by Mikodam using a special patented technique to achieve the rhythmic curves. 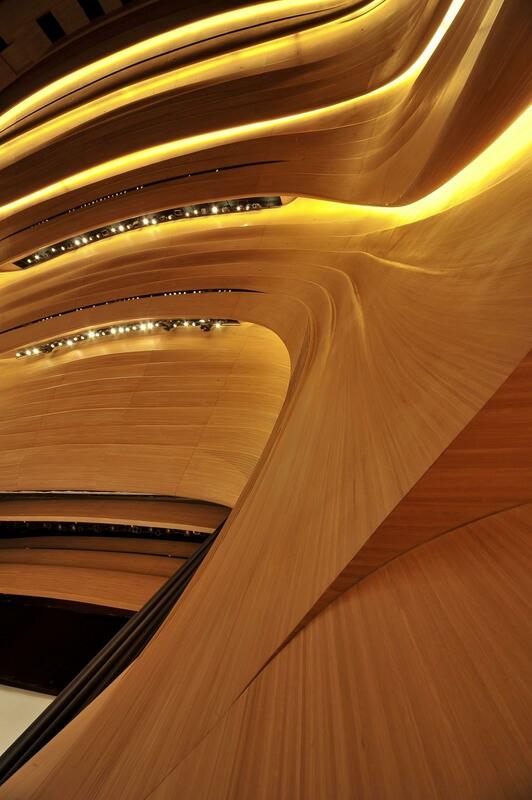 HAZA, one of our most admired products, inspires from this project. 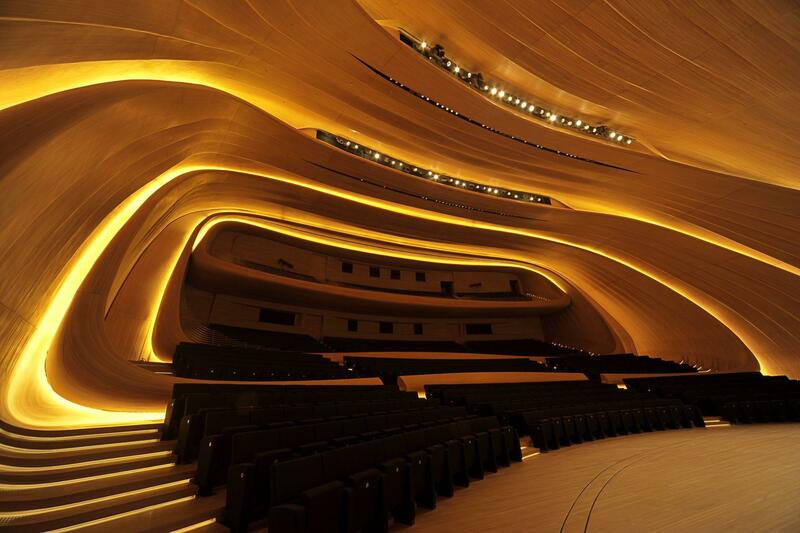 The same technique is used to create its elegant curves offering the same quality for your interiors.